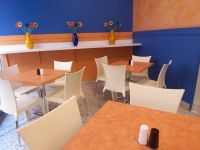 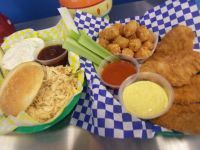 The downtown lunch spot for deluxe chicken wings, chicken strips, home cooked pulled pork, chicken & roast beef sandwiches, tater tots & and much more. 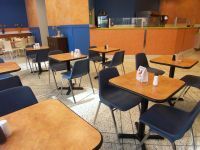 Homemade sandwiches, sides and sauces at fast food prices. 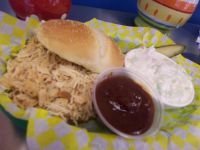 Homemade sandwiches, sides and sauces at fast food prices. 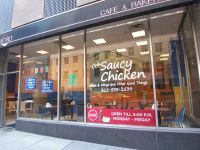 The Saucy Chicken features 10 select sauces to be added to your sandwich or for your sides.